Long-sleeve dress attire, as seen worn under Jackets during German military functions. 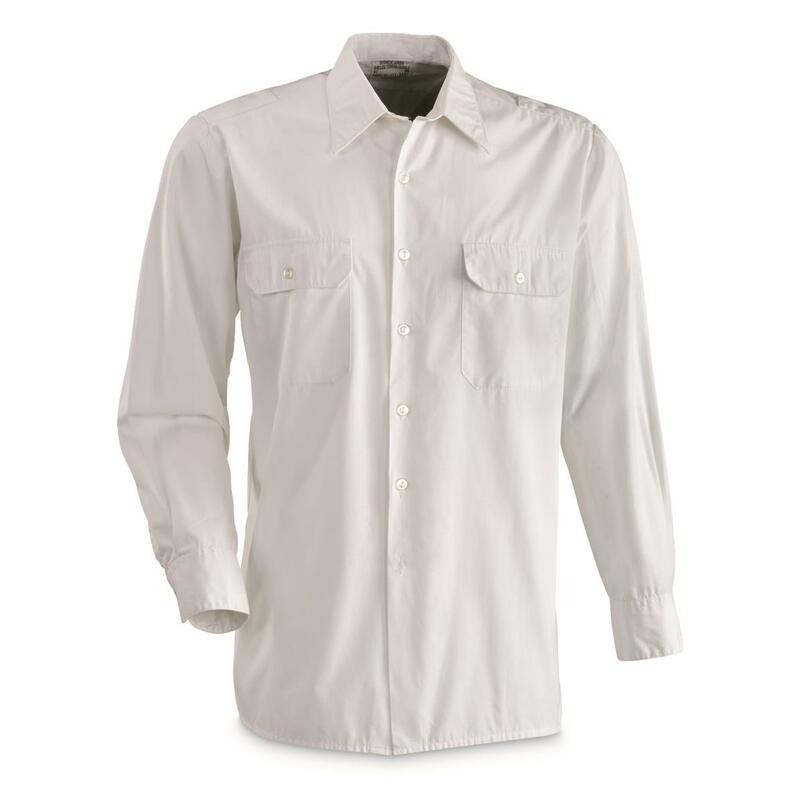 Polyester/cotton blend is easy care, easy moving and easy breathing during hot days in the office. Plain white style means you can do just about anything with them. No-hassle good looks with subtle military flair, here in an affordable 5-pack. German Military Surplus Long Sleeve Dress Shirts, 5 Pack, Used is rated 4.5 out of 5 by 2.